As paddlers, we know that nothing ruins a paddle trip quicker than an uncomfortable seat. Stop being uncomfortable and start enjoying your adventure with the YakGear Manta Ray Seat. The brass buckles and D-ring placement in the design of the Manta Ray enables this seat to be compatible with sit on top kayaks, sit inside kayaks, and canoes. The 19 inch tall and one inch thick back is adjustable and provides long lasting support for those long paddle adventures. 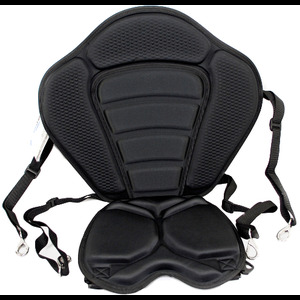 The 15 inch non-skid bottom of the seat features 1-1/2 inch thick EVA Foam for lasting comfort. The seat bottom has water gutters as well, so if your seat area takes on a little water, the gutters help to channel the water away. Additionally, the back of the seat has 2 built in D-rings for easy connection of leashes and other accessories. 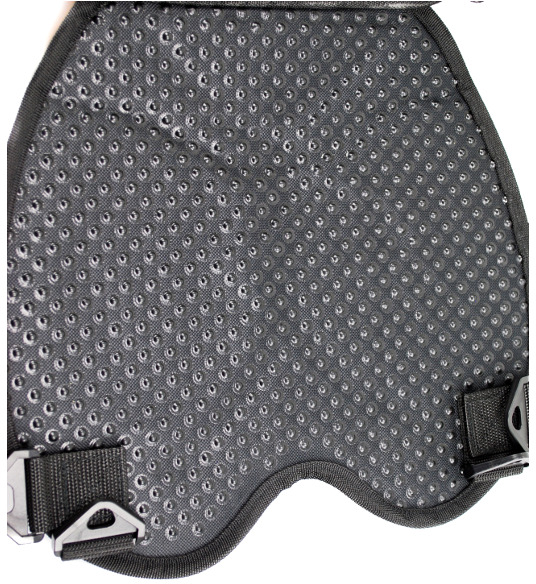 To install the Manta Ray seat on a sit inside kayak, you will need to also purchase the YakGear 5 Piece Pad Eye Kit.